SheThePeople is India’s first women’s channel inspired by real stories and seeks to change the discourse on, about and for women. Fierce and firebrand, it’s a platform for stories of women breaking new ground as entrepreneurs, feminists, mothers, doctors, actors, artists, leaders, activists, homemakers and others who shatter glass ceilings in every sphere of life. SheThePeople started up in 2015 as an initiative to bring viewers – for the first time – digital views and news focussed on women. Founded by award winning journalist Shaili Chopra, it is globally recognised as India’s go to safe-space for women voices. SheThePeople hosts powerful journalistic narratives, engaging videos, challenging debates and meaningful events and summits that equip women with each other. Reaching more than 15 million women, we are an independent journalism project that channels fearless perspectives in the dialogue for gender equality. We do this by being inclusive and bringing a voice to women regardless of their class, colour, financial status, sexual preferences and social status. 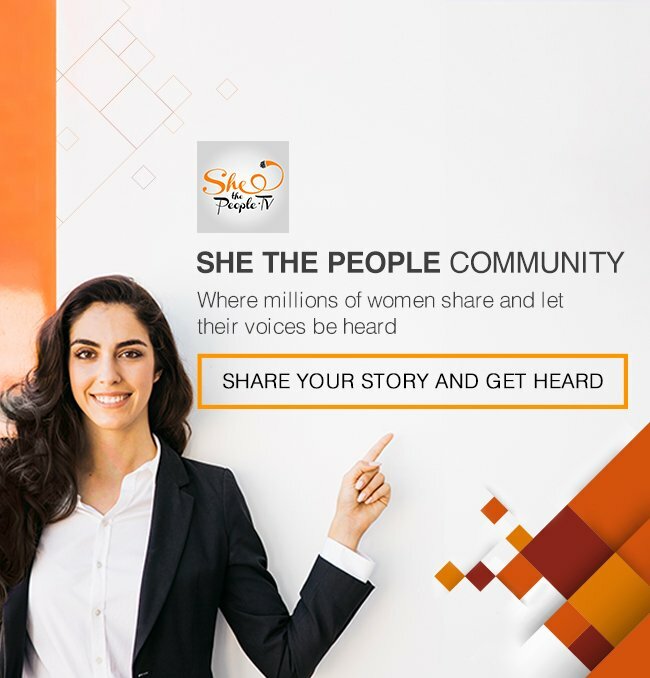 SheThePeople hosts powerful journalistic narratives, engaging videos, challenging debates and meaningful events and summits that equip women with each other. We aim to empower, engage and elevate. Shaili Chopra has 20 years of experience in journalism having anchored top shows at Economic Times Now, NDTV and CNBC. And that’s propelling her initiative SheThePeople to use the power of the internet, and media to document compelling change through the stories that women are. Shaili has been named one of India’s top 50 most influential women in media and marketing and won the India’s most prestigious best business journalist award. This fearless woman has spoken at TEDx events, and moderated at World Economic Forum initiatives. She believes women should take a chance on themselves and lives by the belief, “She dream she could, so she did.” Shaili is also the author of what may be called India’s first anthology of contemporary feminist voices, Feminist Rani. The origins of this book were in an initiative by the same name by SheThePeople to challenge and rebuild feminist dialogue in the country. Our community of women are driven, diverse and engaging. Through our special videos on SheThePeople.TV we are presenting the modern Indian woman a platform to discuss and share the challenges faced by this up-tapped community. As Shaili Chopra often says, women are yet a community waiting to be mainstreamed. And SheThePeople hopes to be the one driving that change.